Hiking is an excellent way to get immersed in the great outdoors. Being carried along by your own two feet, and enough supplies for the day in your backpack, you are in the best position to experience nature at its fullest. You can choose your own pace, stop when you want to, and all it takes is a little planning beforehand to make sure you have the backpacking essentials for your journeys into the wilderness. Many people think hiking is merely walking. However, the terms are very much different. Walking covers shorter distances and in more urban settings. The hiking meaning, on the other hand, means taking long, vigorous walks that would take you along trails and paths in the country, and more often than not they would encounter rough terrain at the bottom of mountains or valleys. How much hiking time do you have? How long does it take to hike a mile? The two do require very different sets of equipment, and part of this is what you will see in the top backpacking for beginner’s tips. One of the first things you should do is to find a hiking partner. This isn’t just to bond, it is for an element of safety. If you can’t find anyone to go backpacking with you, there are plenty of hiking clubs where you can join to head out on a day hike. Hiking alone can give a sense of being free and being at one with nature, but on occasions, it can be intimidating if you are in a new area. These are the times another person can be welcome, and you can share the excitement together. Choosing your hiking route can dictate what you will need to take with you. At a bare minimum you would need a trusty water bottle or two, and first aid kits in case anything does go wrong. Any hiker that sets out with these is asking for trouble because it is so easy to become dehydrated without realizing, and not knowing where the next mouthful is coming from can leave you in a predicament. Can dogs be taken along? Before setting off, there are a few things to bring on a hike that can make it more comfortable, and more enjoyable. A lot of what you need can depend on specific circumstances, here we have broken it down into the hiking elements. Are you heading out for a few hours, or do you plan on going for a longer hike that will take up most of the day? This will determine which trails you can hit and which ones you will need to leave for another time. It is no good thinking you are fitter than you are. If you hit a part of a trail, the ascends up the side of a valley, and you are already panting, then your enjoyment of the hike will quickly vanish. There are lots of easy hikes, so start off easy until your fitness and stamina increases. This is crucial and will also be dictated by fitness levels and how much available time you have. An average hiking speed is around 3mph on good ground. Depending on the terrain, you might be going slower than this, and also the gear you have in your backpack can quickly weigh you down. This is where a well-made pair of hiking boots come into play. They need to give lots of support while being comfortable for wearing for hours on end. Elevation can equate to trail difficulty. After a while you will find the elevation you can handle comfortably, and what is too much. As a guide, when a trail gains 1,000 feet in one mile or less, this is considered steep. Elevations around this mark can add 1-hour onto your hiking trip. A lot of trails are closed during the winter months due to the terrain being unsafe while covered in snow. Even ones that are open can pose problems, and this comes from a sprawling landscape covered in snow. It is much easier to get snow blindness than people think if there is nothing to break up the view and the sun is shining. Good sunglasses would be needed that can be one of the hiking essentials for beginners who have never ventured out in the winter before. Weather conditions can also change very quickly when you are hitting the trails. The sun can set earlier depending on the time of year, and either for high levels of the sun or the sudden downpour, you should pack an emergency shelter into your backpack. These can be lightweight and quickly erected to the nearest trees. Although you don’t need a lot of gear to enjoy hiking, there is some essential hiking gear that you will need to hit the trail to make sure you are at your most comfortable and the safest you can be. One thing you should never consider doing is hiking in jeans, this is the wrong type of gear altogether. Here we have broken down the sections into backpacking gear list beginners should follow. The choice of footwear can be one of the most crucial factors for hikers. It is your feet which take the most abuse while walking for miles on end, so having the correct footwear is essential. There are different types of footwear, and many hikers prefer different types. Some hikers prefer to wear lightweight trail-running shoe types of good hiking shoes for shorter trips, but for more serious hikers who venture out for full days over rougher terrain, they prefer high quality over the ankle hiking boots. These protect the ankles with support when the going gets tough, or you might have to encounter a stream or two. For shorter flatter terrain, or if you are a complete novice to hiking and are sticking to easy trails, you can opt for day hiking shoes which give protection while being light to wear. The clothing you choose can make you feel all clammy or comfortable, hence the reason for not wearing jeans. The clothing you decide on should be quick-drying and moisture-wicking, so any perspiration is quickly evaporated away from the body. Next, to the skin – these are the ones who will wick sweat from the body, and they are the most important when the weather is cool to cold. Secondary layers – these will include the best hiking pants for the time of year, t-shirts, sun shirts or sun hats. You might opt for the best hiking shorts if the weather and terrain allow, but you should be sure to make use of sun protection, even in days that are overcast. Insulation – this depends on the time of year you are hiking, but puffy vests or lightweight jackets should be chosen. The same can affect your choice of hat or gloves. All that you decide should be lightweight because it will weigh you down considerably over a few hours on a longer hike. Rainwear – it is always safe to carry a lightweight waterproof jacket of some sort for your protected clothing. If there is a sudden downpour and you get wet, it not only weighs heavy but if the temperature drops, it can make you feel much colder than you are. When you are looking at hiking gear, the things that you choose for your fall hiking outfit and winter hiking attire can be very different than your summer hiking outfit. Hiking backpacks can be one other thing that makes you feel comfortable, or that your time on the chosen hiking route is a chore. These need to fit you correctly while at the same time being able to fit in all your hiking gear. Shorter trips close to home or around local parks might only need a daypack that can hold up to 20-liters, and enough for day hike essentials, but a hiking trail that is buried in the wilderness will need something more substantial. Backpacks that carry around 30-liters should suffice for a far-off hiking trail. No matter which backpacks you choose, they should both have space for a repair kit of some kind, even if it is a couple of needles, thread and some elastic. Next is first aid supplies. This should include sunscreen, mosquito repellant or bite cream, Band-Aids and some mesh gauze and pins. Backpacking food ideas beginners should follow, consist of not only is what you can eat while hiking, but, it is crucial to know what to eat before a hike because this will give you the first round of energy. Carbs are the key to long-lasting energy while hiking, so a good breakfast of eggs, whole-grain toast or non-sugary whole grain cereals, low-fat yogurt and fruits. While hiking you will need to snack continually to keep energy levels up. Snacking once an hour is an excellent guide and can include trail mix, nuts and seeds, crackers, peanut butter, energy bars, and dried fruits among others. Salty foods are good because they help to retain fluids in the body. Water purification tablets should be packed as part of your first aid. If you are on a long trail and you have run out of water, you would need to head for the nearest area of water to top up your bottle. Personal health and safety are crucial, so being able to stay safe no matter where you are is above all other things. You can find hiking and going to the bathroom a challenge if you are new to hitting the trails. It might take some used to, but it won’t be long before you get the hang of it. Peeing is easy, but when taking care of other business, you need to start digging holes well away from water for somewhere to go. Beware of using leaves that you don’t know what they are, some are poisonous when they make contact with the skin. Hiking on your period requires you to bring ample supplies, but as with the above, any used items should be in sealed bags and disposed of when you return home. Take hand sanitizer rather than resorting to hand wipes. It takes up less space and much easier to use and requires no disposal. 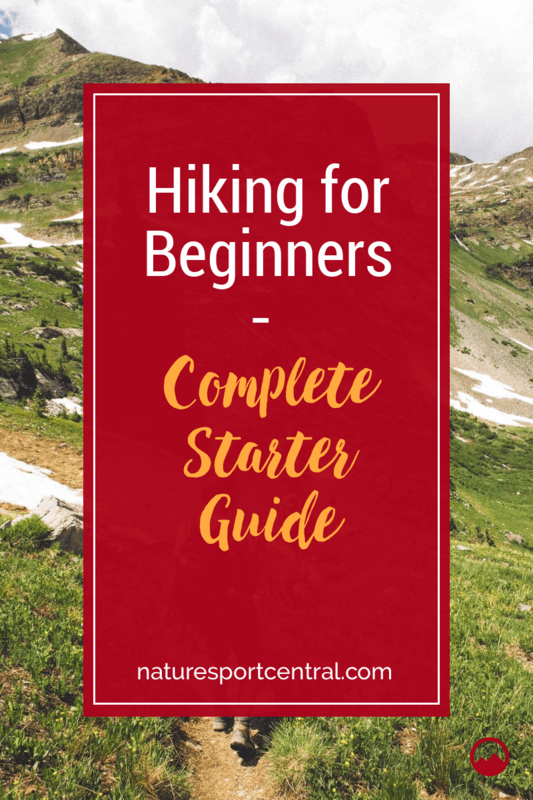 With all of the tips and advice above, you should know what to bring on a hike, and after a few easy trails, you will be well on your way to leaving the beginner backpacking trips and heading for the more experienced trails. Aside from the enjoyment of experiencing nature and seeing the world for what it is, you can benefit from a good hiking workout that will increase your stamina and fitness, and help to lose a couple of extra pounds. I love hiking for the above reasons and for many more. Being at one with the elements can be thrilling and exciting, and the surroundings are not something that every person gets to see on a daily basis. Check out what to bring hiking, grab a partner and then hit those trails and have the time of your life.